Getting requests for "email skills" or "email best practices"? It's devouring the workday. Employees are spending between one third and one half of each day — that's one third to one half of each year — in their Inboxes. It's the hub for vital workflows. Critical results flow through email — project meetings, troubleshooting, crisis management, sales calls, customer service... Even contract negotiations are now routinely conducted in email. It's teeming with mistakes, mishaps, and misunderstandings. In email, misreadings of tone or intent are commonplace, disrupting workflows, souring relationships, and wasting precious time and effort. The good news: With efficient writing tools and better decision-making, employees can dramatically improve their email performance. NEXT: How we can help you. Our Email Writing blog. 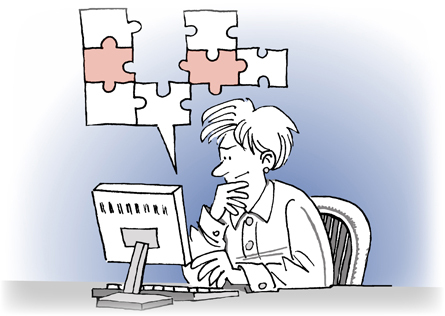 This blog offers thoughtful approaches to common email challenges. Plus: Free eLearning nuggets. Writing training & consulting. See the entire range of our writing consulting services and training programs. Copyright © 2016 Salient, Inc. All rights reserved.